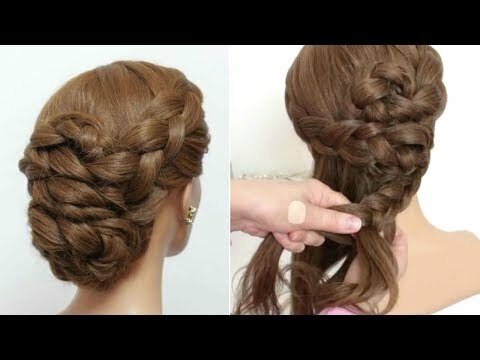 Hair tutorial with easy braided updo for special occasions like prom, homecoming, wedding. Perfect for long hair. Properly selected hair accessories will make this hairstyle with braids very elegant or romantic.